As surreal as the current talks of war between the two angry leaders are, many outsiders often wonder about the calmness of South Koreans, even while facing a belligerent northern neighbor that fires missiles, tests nuclear bombs, and repeatedly threatens a war of annihilation. It is true that Koreans have grown inured to perennial threats from North Korea for decades, and are not easily shaken by yet another provocation. As the world-renowned Korean novelist, Han Gang, recently wrote in The New York Times opinion section, this mysterious calmness is not really a reflection of indifference, but "the tension and terror that have accumulated for decades (that) have burrowed deep inside us and show themselves in brief flashes even in humdrum conversation." During the past months, we have witnessed this tension gradually increasing and many South Koreans starting to express fear. With the North’s fast advancing weapons capabilities in the hands of the provocative and inexperienced young leader, most South Koreans are becoming alarmed about the possibility of a military conflict, although this still may not be apparent to outsiders. Without a question, South Korean people agree on one thing: there cannot be another war on the Korean Peninsula. And high officials in Washington repeatedly confirm that they prefer a diplomatic solution, while also mentioning that all the options remain on the table. The real problem, however, is Donald Trump’s tumultuous threats of war against North Korea. In his mind, threats, which he views as his signature tactic as appears in his book, The Art of the Deal, create additional leverage. Trump never stops threatening. "Fire and Fury" was just the beginning of his portfolio of threats against North Korea. Just weeks after threatening to "totally destroy" North Korea before world leaders in New York, he tweeted yet again that "only one thing will work" when it comes to dealing with the regime. Written just days after the US president told reporters and top military aides that they were in "the calm before the storm," the tweet clearly alluded to military action, even if it did not divulge any details. Trump’s hardline rhetoric and belief that dialogue is a waste of time raise the risk of escalation and miscalculation, even as the key members of his administration such as Secretary of Defense James Mattis and Secretary of State Rex Tillerson try to assuage fears among South Koreans by repeating that the United States has no interest in regime change or accelerating reunification of Korea. Equally worrying, Kim Jung-un is different from his predecessors. His ongoing adventure is not just about gaining leverage, but more about gaining capability. He might be exaggerating his accomplishments somewhat, but it is not empty bravado. He is maintaining his pace, through a “my way” approach, with no interest in dialogue. North Korea is a de facto nuclear state, even if nobody except for North Koreans can accept it as a stated policy. We have no choice but to admit that North Korea is a nuclear-armed state. The denuclearization of North Korea may not be possible at this moment. Nevertheless, we cannot abandon the goal of denuclearization. Many people support increasing the pressure on North Korea, while amplifying US and ROK deterrence capability. Can tightening sanctions solve the problem? The UN Security Council has unanimously passed Resolution 2375, new sanctions on the DPRK over its sixth nuclear test on September 3. These latest sanctions, described as the toughest ever imposed by the Security Council, were built on previous resolutions. They aim at cutting off 30 percent of oil imports and a full ban on purchasing North Korean textiles. In addition to the UN sanctions, the Trump administration imposed new financial sanctions by executive order on September 21 to block North Koreans, and those who do businesses with them, from accessing the US financial system. The UN and United States have repeatedly expressed that the goal of these sanctions is to make Kim Jung-un come to the negotiating table by pressuring him to abandon nuclear weapons development. However, there are still many doubts about the genuine effectiveness of the sanctions as well as the real US intentions. Sanctions have barely altered North Korean behavior so far. Regarding the question of effectiveness, as sanctions have not been successful in the past, it would be difficult to accomplish the goal this time as well, even if the new sanctions are the strongest ever. The key point is that North Korea has had enough time to learn to evade sanctions and even manage to survive under tough sanctions. After all, North Korea has been taking advantage of its independence from the international system that restrains other nations. Kim and other high officials who are responsible for the nuclear provocations will be the last North Koreans to suffer from these sanctions. These new sanctions materialized two days after a report by UN investigators showed how North Korea was evading existing sanctions. The report, prepared by a panel of experts dispatched by the Security Council to monitor the implementation of sanctions, demonstrates that North Korea "continued to violate sectoral sanctions through the export of almost all of the commodities prohibited in the resolutions." If we take this report seriously, it is dubious whether new sanctions would be more effective than previous sanctions in compelling North Korea to return to the negotiating table. Although few deny that more sanctions are better than no sanctions and the current sanctions could be implemented with particular vigor from the international community, these sanctions came late for preventing the Kim regime from completing its nuclear program. The cold fact is that Pyongyang is just one step before the completion of its nuclear arsenal. Besides questions surrounding sanctions effectiveness, Trump is not clear about the purpose of these sanctions. While top officials in Washington argued that the focus is to get the North Korean regime back to the negotiating table, Trump downplayed the prospects of diplomacy to break the deadlock. To Trump, success seems nothing less than North Korea’s surrender, if not collapse. Kim is interpreting economic sanctions, in tandem with Trump’s verbal threats of annihilation and continuing demonstration of force along North Korea’s east coast, as a strategy for regime collapse. The US-DPRK conflict has even become personalized, and both leaders’ pride is at stake. Neither side is going to back down. Even more sobering is that Trump’s rhetorical warfare is likely to leave Kim Jung-un with no choice but to take corresponding countermeasures. On the issue of the ROK-US alliance, it is true that political changes in both countries in 2017 have been breeding uncertainty about the state of the alliance. With the thorny THAAD and FTA issues, coordination of North Korea policy has been the dominant strategic task of the relationship. The Trump administration has raised North Korea’s nuclear and missile programs to a top foreign policy priority, and has called for applying maximum pressure on North Korea. 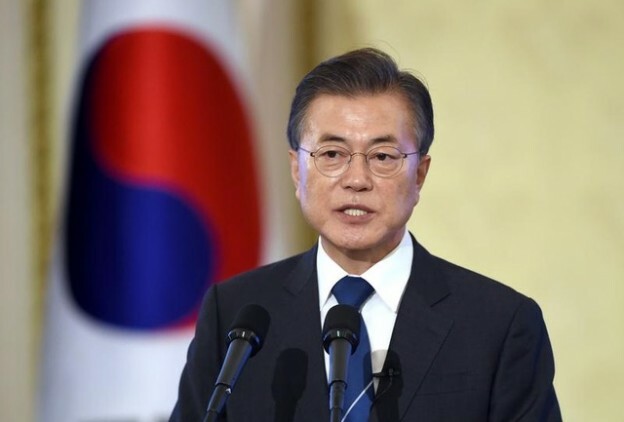 President Moon Jae-in has said that he supports the continuation of sanctions against North Korea in order to bring North Korea to the negotiating table, but Moon was clearly against a "sanctions-only" approach. Meanwhile, Washington appears concerned that Moon’s moderate approach toward the North would have negative effects on the sanctions-driven approach of the Trump administration. The North Korean nuclear threat has rapidly escalated in the months since Moon’s election, leaving him sandwiched in four ways: between the US hardliners in Washington and progressive supporters in South Korea; between the United States and China on THAAD; between progressives and conservatives in South Korea; and lastly between his campaign promises and the realities of dealing with an increasingly provocative North Korean regime. Throughout his campaign, Moon vowed to follow a two-track policy of dialogue while maintaining pressure to change North Korean behavior. But North Korea has stepped up its nuclear and missile programs significantly since Moon’s inauguration. As a result, the Moon administration started to advocate a pressure approach over diplomacy. While main progressive supporters are sympathetic with Moon’s difficult position, they are growing more frustrated over his unexpected inclination toward a hardline approach. In contrast, while many conservatives are pleasantly surprised with Moon’s shifting approach, the conservative opposition parties and the conservative press have regularly criticized any mention of the need for dialogue by the Moon administration, and asked for stronger pressure on North Korea. Moon’s dealing with Washington thus far reflects limitations on advancing Seoul’s position in the face of not only the mounting insecurity, but also the pressure from Washington. The deployment of THAAD has been the first litmus test from the Washington hardliners. While many in Washington agree that Moon has navigated a very narrow path, suspicions have repeatedly surfaced. Although Moon has actually been very supportive of the US approach of maximum pressure and engagement, his repeated mentions of dialogue or a diplomatic solution, as well as claims that war on the Korean Peninsula is unacceptable, are brewing suspicions. Donald Trump even accused the South Korean president of “appeasement,” adding threats to withdraw from a bilateral trade agreement with South Korea. In August Senator Lindsey Graham said in a television interview that Trump had told him that a war between the United States and North Korea was imminent, and even said, "If thousands die, they are going to die over there. They are not going to die over here." South Koreans have repeatedly been puzzled by Trump’s mistreatment of a key ally, which could lead to looming skepticism toward US credibility toward the alliance. South Koreans are getting more fearful of the worsening situation not only because of the direct threats from the outrageous young man in North Korea, but also by the unpredictable, angry old man in the United States. Trump has not been successful in reaffirming the US commitment to the defense of its allies including NATO and South Korea. Instead, he has been trying to extract from allies and partners as much as possible either by defining alliances unfairly or by heightening threats of war. For a short time, all those efforts led by Trump may seem beneficial to American interests, but many people inside and outside the United States worry about the long-term detrimental effects on US leadership in the world. Trump still has not learned that there is more to foreign policy than the art of the deal of the business world. As Jeffrey Bader, David Dollar, and Ryan Hass wrote in a recently published report by the Brookings Institute, "The attitude of ‘America First,’ and the public debate in the United States over the North Korean nuclear problem that obsesses over the threat to the U.S. mainland while ignoring the clear and present danger to allies on North Korea’s doorstep, has revived long-dormant debates in the region about U.S. reliability in the face of China." Although the Trump administration has made the North Korean issue a top priority and a broad outline of its approach has been provided through interviews, speeches, and tweets, its policy toward the DPRK seems to remain in flux. Whereas Trump wants to differentiate his policy from the Obama administration’s “strategic patience,” Trump’s policy so far has been more like “strategic confusion” or “strategic impatience.” To solve the North Korean nuclear headache and solidify the ROK-US alliance, the most critical move is that the United States decides either to resolve the North Korea problem or to use the problem to accomplish other goals such as consolidating domestic power or containing China. Washington has been trying to divide Seoul and Beijing, frustrating South Korea. Rather, both Seoul and Washington should continue working with Beijing on North Korea, because there can be no meaningful progress without China’s help. Moreover, China cannot do it alone despite all the expectations and demands from other countries. Understanding China’s interests on the Korean Peninsula as well as leverage over North Korea and gaining trust are the best ways to draw Chinese commitment to solving this problem. A combination tactic of simultaneous application of pressure and engagement should be adopted by utilizing the trilateral cooperation of the United States, China, and South Korea, forged instead of the US-South Korea-Japan trilateral alliance, which would be regarded by China as a means to encircling it. In seeking US-China-South Korea trilateral framework for resolving the North Korean problem, maintaining the division of labor would be critical. While the United States and China maximize pressures (the role of a bad cop), they should outsource the task of initiating dialogue to South Korea (the role of a good cop). Thus far, the United States has mostly used the stick even if it has the best carrots that North Korea wants, and China has provided carrots even if it has the most effective stick that can thoroughly discipline North Korea. Now is the time for Washington and Beijing to return to combining their strengths, and Seoul can work as a mediator to draw cooperation from both countries to maximize efficacy and peace.